On October 28th YouTube launched its new subscription service YouTube Red. So far it is only available for viewers in the United States, who currently can test the service in a free one-month trial. Afterwards, YouTube Red will be priced at $9.99 a month. What is YouTube Red all about? On its website the Google subsidiary lists three main features of its new service: ad-free videos, background play as well as the possibility to save and watch videos offline. Moreover, it connects with YouTube’s gaming and music app and gives users free access to Google Play Music (and vice versa, Google Play Music subscribers get free access to YouTube Red). From 2016 onward, YouTube Red will feature a members-only access to YouTube Originals, i.e., to new shows and movies exclusively produced for the platform. Some of this exclusive content will be made available later on to non-subscribers in the classic YouTube format (that is featuring ads). With the introduction of YouTube Red, the network follows the example of companies such as Pandora, TuneIn or Hulu which recently started offering subscription-based, ad-free, membership options for their music- or video-streaming services. In this post I will have a closer look at YouTube Red to understand what motivates companies to change their business models from free to freemium and what challenges such a change in strategy entails. At the moment, YouTube’s largest revenue stream is advertising. In its latest statistics the network reports that over the past years the number of advertisers on the platform increased by 40 percent, with the 100 largest advertisers spending, on average, 60 percent more. And one can expect those figures to increase over the next years. Especially younger viewers consume more and more video content online, and advertising revenues are following this trend (for more details see this article by Suzanne Vranica in the Wall Street Journal). YouTube, according to Nielsen accounts for more than 60 percent of all video content watched online and is thus successfully positioned to benefit from this trend. So why change an apparently winning team? First, revenue does not equal profit and, in fact, according to an article by Rolfe Winkler in the Wall Street Journal, YouTube has yet to become a profitable business. Second, it is safe to say that not all of us are satisfied with the advertising-based model. Instead, over the past years the number of consumers that are actively trying to avoid advertising by using some type of ad-blocking software has been increasing steadily. According to a recent study by PageFair it reached 198 million in June 2015, a 41 percent increase over the last year. This trend has noticeable implications for companies who support their business by advertising revenues. For instance, by 2016, the global cost of ad-blocking, in terms of blocked revenue, is expected to reach $41.4 billion. Let us come back to the example of YouTube. The presence of a relatively important share of users that is taking active measures to avoid advertisement, be it by skipping pre-roll ads or by using ad-blocking software, not only implies a direct, but also an indirect loss in revenues. In a direct sense, for YouTube every skipped or blocked ad represents lost advertising revenue. In an indirect sense, YouTube, so far, does not exploit consumers’ preference for an ad-free experience financially and by this misses out on an additional revenue stream. And this is where YouTube Red comes into play. By introducing the subscription service YouTube adopts a strategy of second-degree price discrimination (so-called menu pricing) that allows it to increase its revenue by capturing a higher share of consumer surplus. However, there is more to it. YouTube Red is also a strategic move by Google to boost its music-streaming service Google Play Music and to gain a foothold in the highly competitive music- and video-streaming industries. 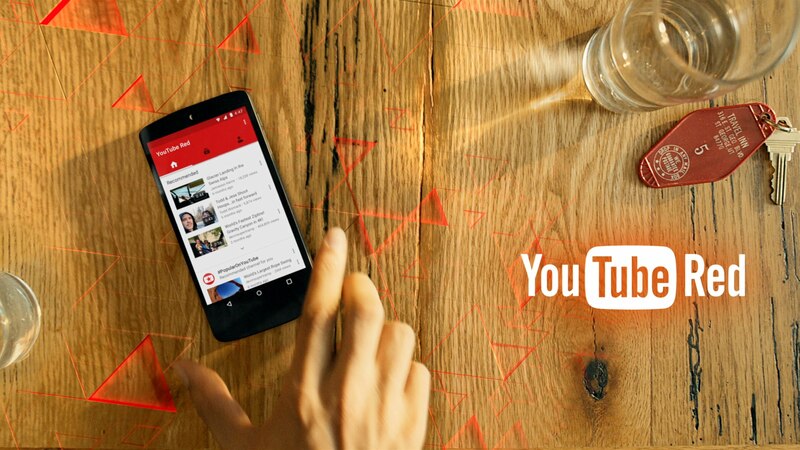 Here YouTube might have an important edge over its pure-play competitors. It is active in both industries and by this may reap benefits from one-stop shopping. An important, and straight-forward, question to ask is whether YouTube Red has what it takes to be successful. The answer to this question primarily depends on whether YouTube succeeds in convincing a sufficiently large number of its users and content creators to join the premium service. Two important, if not the two most important, factors that decide about the fate of any freemium strategy are user base and conversion rate (for some further insights on freemium models you may want to have a look at this or this article on IPdigIT). In the given context, the two concepts respectively refer to the active number of YouTube users and the share of users that subscribes to YouTube Red. User base. The user base is nothing YouTube has to worry about, at least for the moment. The network counts one billion of active users, who watch six billion of hours of video content per month and upload 300 hours of new content per minute – all with an upward tendency (for more statistics on YouTube see here). Conversion rate. The conversion rate is another story. It is far from obvious that YouTube will succeed in convincing a sufficiently large number of its users to subscribe to the premium service. Here, a main challenge is that over the past ten years YouTube users grew accustomed to using the platform for free. Moreover, despite consumers’ apparent dislike for advertisement, the value-added of YouTube Red, relative to the standard YouTube experience, may not be enough to warrant a monthly $9.99. In particular, as it is fairly easy (and cheap) to avoid advertisement by skipping pre-roll ads or by adding some ad-block extension to one’s browser. Clearly the success of YouTube Red does not exclusively rely on a sufficient number of subscribers. Instead, it is equally important to attract a sufficiently large number of (popular) content creators that will produce exclusive material for the premium service. The latter raises the value-added of YouTube Red and by this may turn additional YouTube users into YouTube Red subscribers. the overwhelming majority of our partners, representing nearly 99% of the content watched on YouTube, have signed up. any “partner” creator who earns a cut of ad revenue but doesn’t agree to sign its revenue share deal for its new YouTube Red $9.99 ad-free subscription will have their videos hidden from public view on both the ad-supported and ad-free tiers. That includes videos by popular comedians, musicians, game commentators, and DIY instructors, though not the average person that uploads clips. The strong bargaining power of YouTube hardly comes as a surprise. Despite the existence of competing platforms such as vimeo or dailymotion none of the latter is (yet) truly comparable to YouTube, particularly when it comes to user statistics. The risk of content creators leaving YouTube for other platforms should thus be minimal. In addition, given consumers’ ad-avoiding behavior, one cannot rule out the possibility that YouTube Red might be to the advantage of content creators. This depends largely on how YouTube decides to split subscription revenues with its creators. I am wondering whether YouTube Red, in its current form, is a smart move or whether additional steps might be necessary to make it work? Moreover, in my eyes, it also raises a much broader question: In the future, how are we going to pay for digital media content? Are advertising-revenue-based models sustainable or will subscription-based models become the norm? And if so, is the business model confined to digital media content or does it extend to other services that are currently free-to-use and supported by advertising-revenues (think for example of social networking sites)?